Graduation season is in full swing! Whether you’re celebrating family and friends or you’re the accomplished graduate yourself, you’ll definitely want to look the part...just think of all the photo ops! We’ve got you covered with graduation outfit ideas for every ceremony style. See our Stylist-approved looks for graduation day! 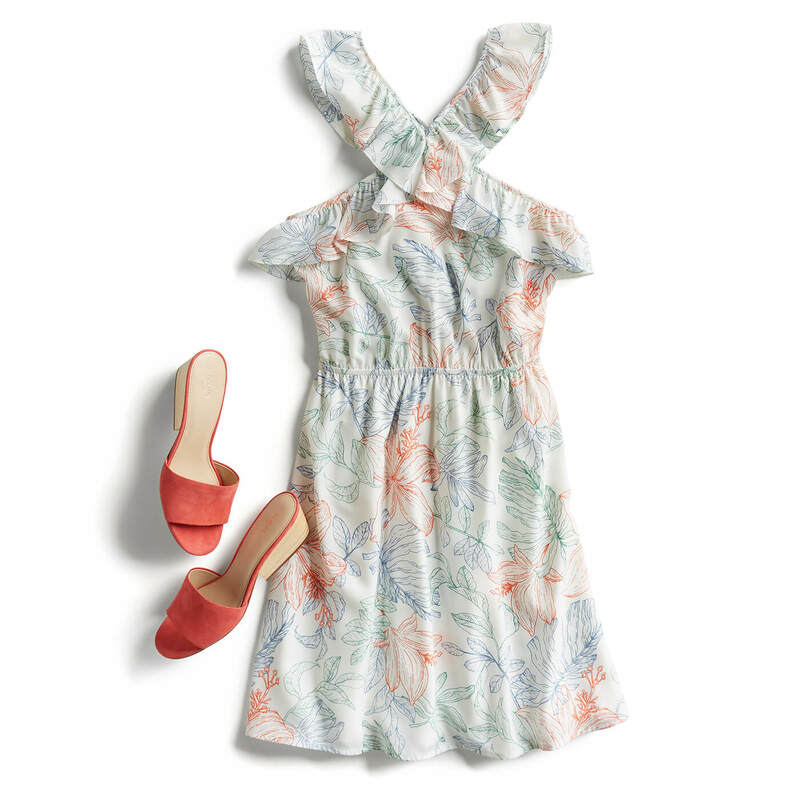 If you’re attending an outdoor graduation ceremony, you can’t go wrong in a colorful summer sundress. You’ll be sitting outside for awhile, and depending on where the school is, it can turn into a bit of a sweatfest. A sleeveless pick will help keep you cooler. Congrats, lady! Show up to your big day in a bright, colorful dress so you stand out like the champ you are in all the photos. Be sure to pick comfy shoes for your graduation outfit; for an outdoor ceremony, we recommend flats or wedges as you may be walking on uneven surfaces. Nobody wants a JLaw moment on the grad stage! At an indoor afternoon ceremony, you’ll want your look to be a bit more buttoned up and formal, but still festive and cute. You’ll probably be going straight to a celebratory dinner, so pick a graduation outfit that can transition straight to a night out. 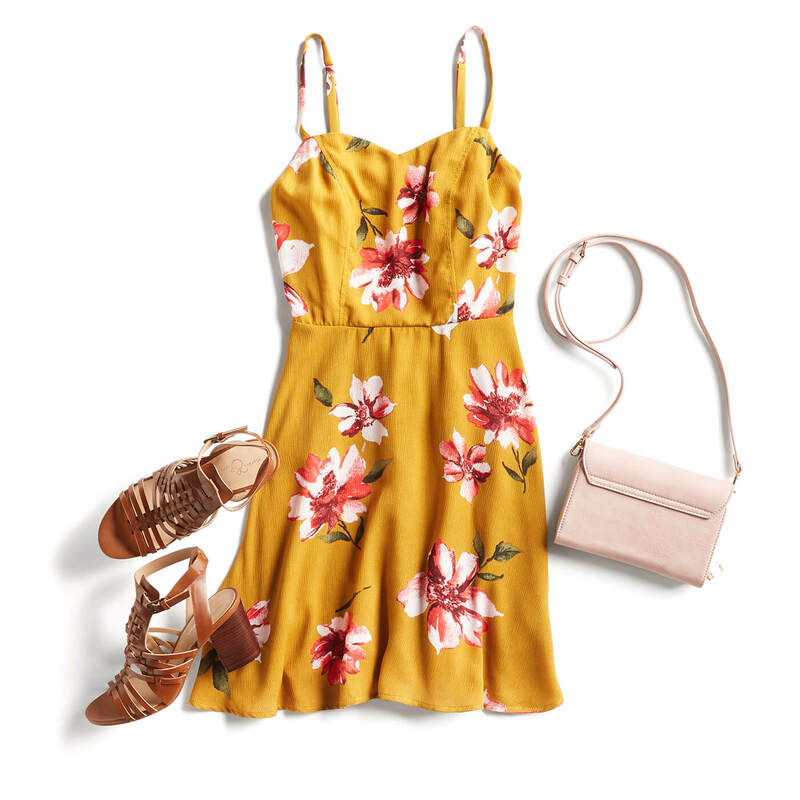 A flirty, feminine dress is a great pick at an afternoon grad ceremony, and works well for going straight into your evening plans. Now’s probably not the time for a mini; you’ll be in the audience with everyone’s grandmas, so lean more towards conservative than clubby. Accessorize with a heeled sandal. Grads, we want to see your most capable looking outfit. 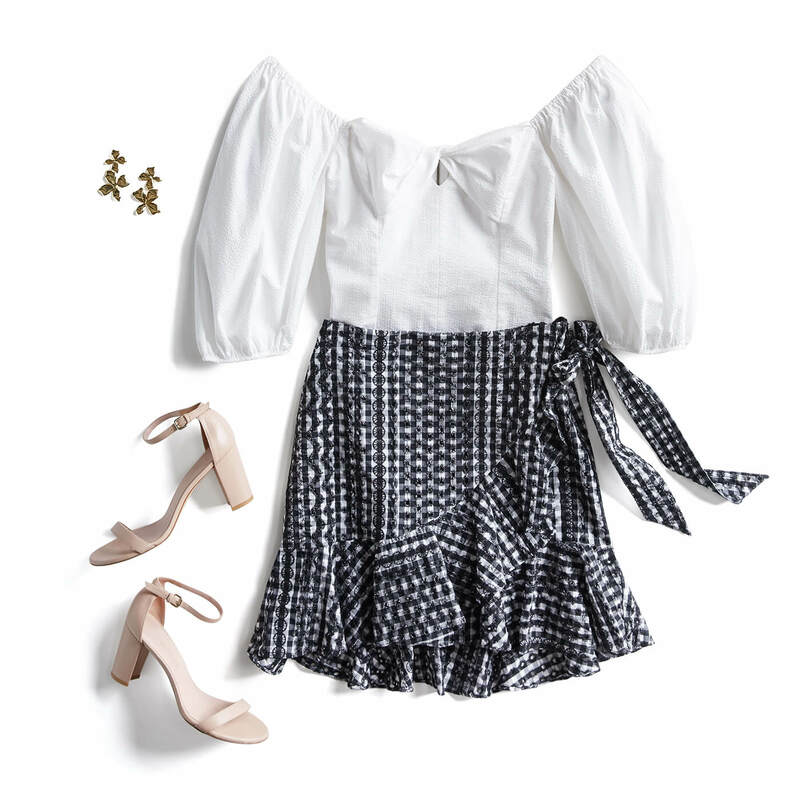 A pretty blouse paired with a ruffled skirt says you’ve got smarts and style. It’s your night to shine, so go all out with heels and a pair of statement earrings to complete your graduation look. A formal graduation ceremony calls for an ultra chic look. There’s no reason conservative has to be boring! A subtly patterned shift dress is a great pick at a more formal graduation ceremony. Top it with a fitted or cropped blazer to really complete that professional look. You go, girl boss! At your formal graduation ceremony, get all dolled up in a knee- or tea-length dress with a pair of strappy heels. Picking a dress with a higher neckline and nipped in waist looks modest but still very stylish. College graduations are usually a bit less formal, and can often last a loooong time. There are a lot names to read! Pick a dress that keeps you comfy while looking sophisticated. As a guest at a college graduation, you can have a little fun in a shorter dress. 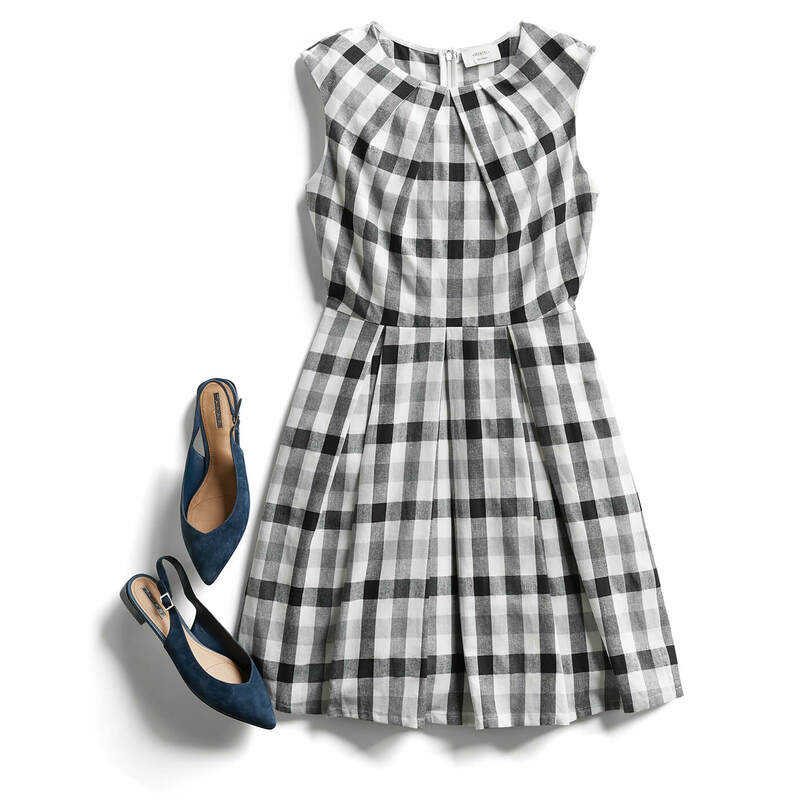 We love the idea of rocking plaid for a collegiate-inspired look! Keep in mind it’ll likely be a long day, so make comfort a priority and opt for flat sandals. We think a wrap dress in a gorgeous color is the perfect pick as a college graduation outfit. It’ll be super flattering in all your graduation pics, and still nice and comfortable under your gown. If you want to wear heels, choose a block heel over a stiletto so you’re totally steady crossing the stage for your diploma. High school graduation is so much fun, and definitely a bit more relaxed. 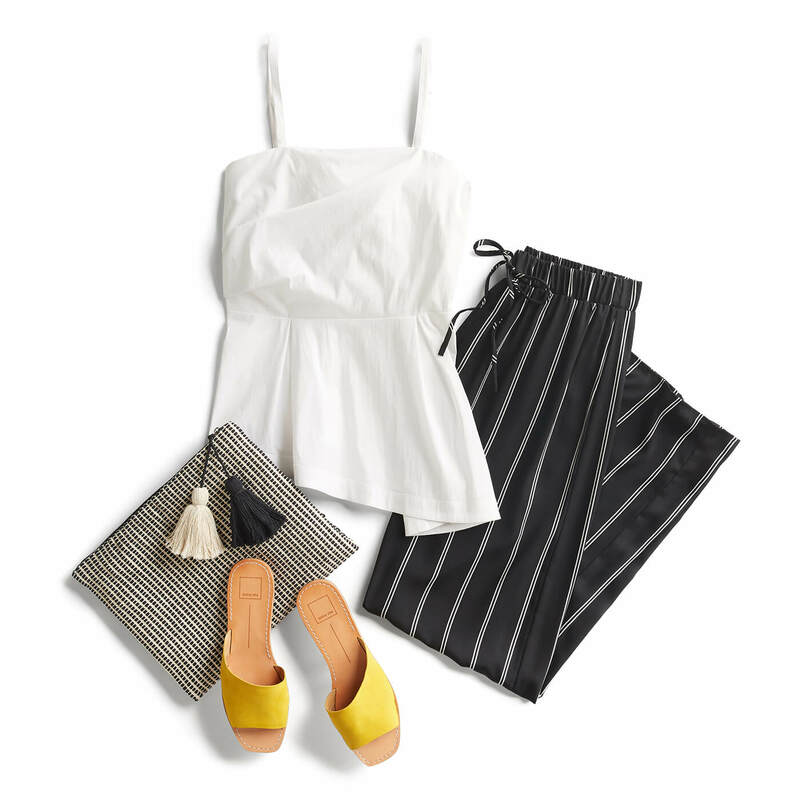 Sport the spring and summer trends you’re loving most, and bring in some pops of color to your outfit with bright accessories. A chic two-piece look will look great here, or you could pair a summer top with some fun patterned pants. We adore bold, printed bottoms with a colorful shoe! You did it! Have a little fun with your graduation outfit and sport a cute spring romper. Not only will you be very on trend, you’ll be incredibly comfy romping around at your graduation ceremony. With so many great options, you’re sure to look your best for every special graduation moment during this exciting time. And grads, don’t forget that you’ve got the most important accessory of all: that brand new diploma! Congrats!